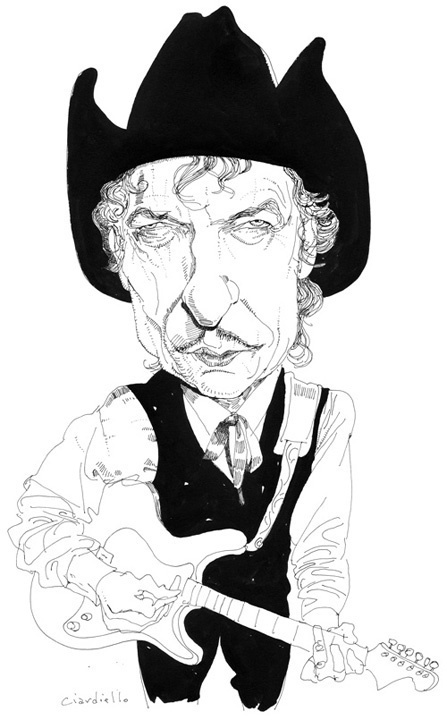 This drawing ran recently in the NY Times BR to accompany a review of the new book by Sean Wilentz called "Bob Dylan In America". It was one of those rare, but fortunate instances where I happen to already have a portrait (I did for myself) that I really liked (the rare part) and the Times was willing to run. Thanks to Cathy Gilmore-Barnes, the fill in AD on this. Bruce Handy wrote the review. I opened the paper last week and I knew I'd seen this drawing before. Here. In your galleries. Fantastic piece. This is a great one !!! !,love the solid black with the line,the face is dead on! 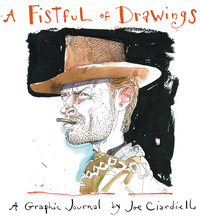 Sometimes they do the right thing...like publish a superb drawing. Yeah, love the black on this one! Terrific. The solid black hat is killer. The planets aligned and the heavens opened up. Congratulations, Joe. It's a beaut..!